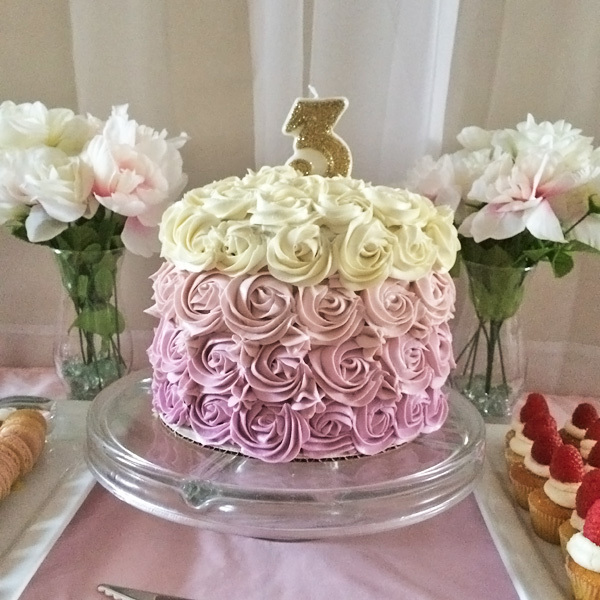 This past weekend I hosted a tea party birthday for Sonata and I would love to share all the details of what I planned so that you can use some of my ideas for your own little ones tea party. A fancy tea party won’t be complete without the guest of honor being dressed in her fanciest frock complete with an OTT head piece! 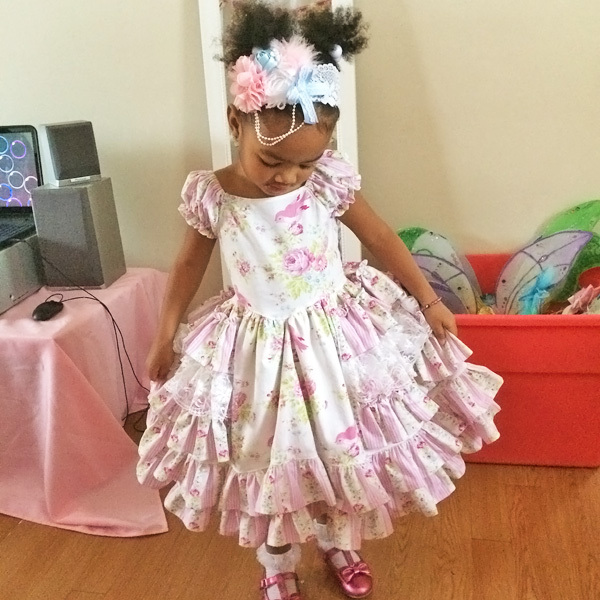 I designed a custom dress just for Sonata’s party and she was definitely the belle of the ball! I had custom invitations, banner, and favor tags designed by the amazing shop BellaEulla The shop owner did an amazing job and was a pleasure to work with! 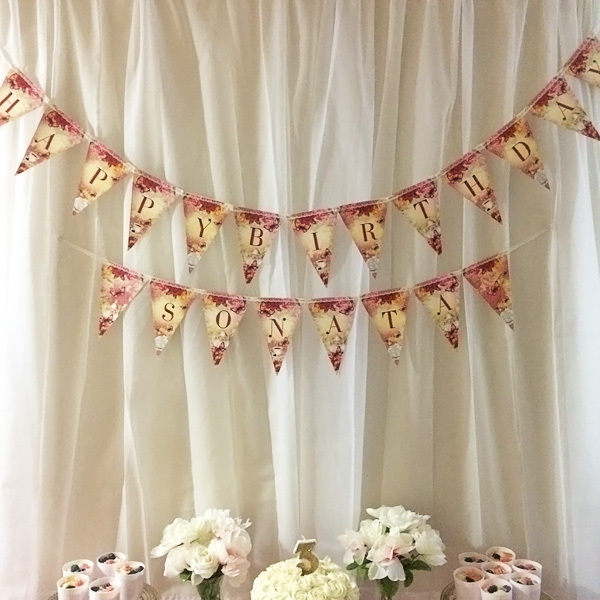 For the party decor I didn’t want to go over the top since I wanted the focus to be more on the table and food so I hung up a few party lanterns and pennant over the party table. 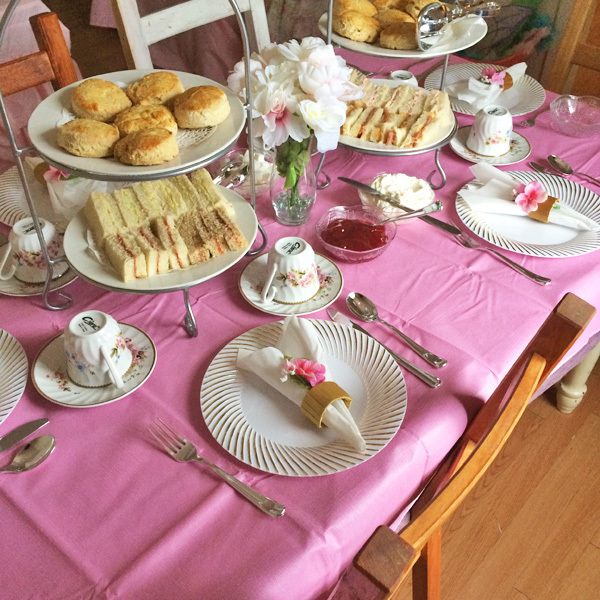 I covered the tables in pink tablecloths and had a few silk flower arrangements of peonies and roses added to the tables. 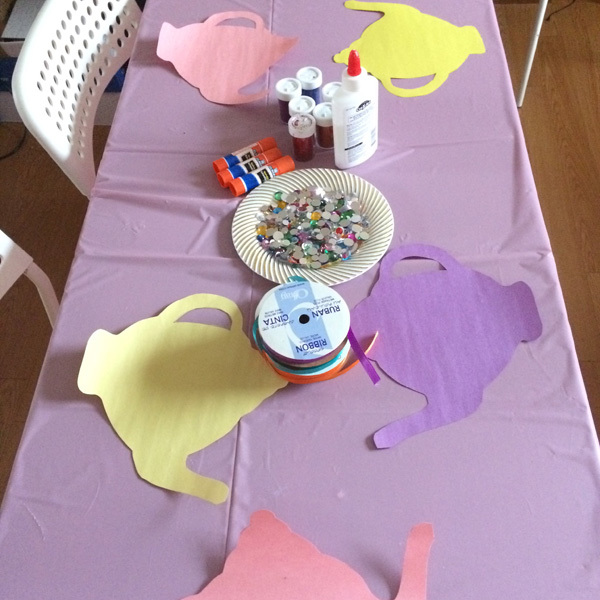 An arts & crafts table was set up for the girls to decorate their own construction paper teapots and make their Victorian fans. I also set up an area to play dress up! I decided to go with a naturally decaffeinated tea because small children and caffeine don’t quite mix! The tea I chose was the yummy rooibos tea. If you haven’t tried this tea yet go pick up a box from your local grocery store. It’s delicious! You can also try the honeybush tea if they don’t have the rooibos kind. The flavor is quite similar and they’re both caffeine free. 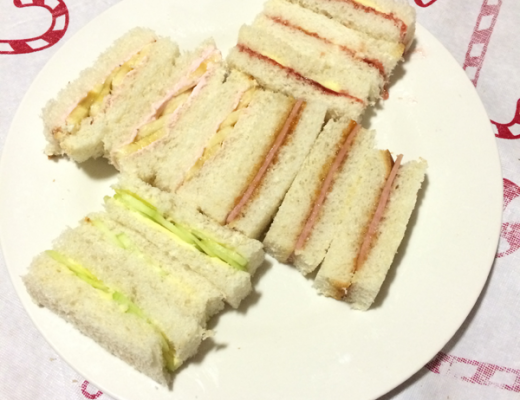 For the meal, I served up tea sandwiches, scones with cream and jam, mini cupcakes, mini fruit tarts, princess parfaits, tea party cookies, macaroons, and a beautiful dusty rose ombre cake. 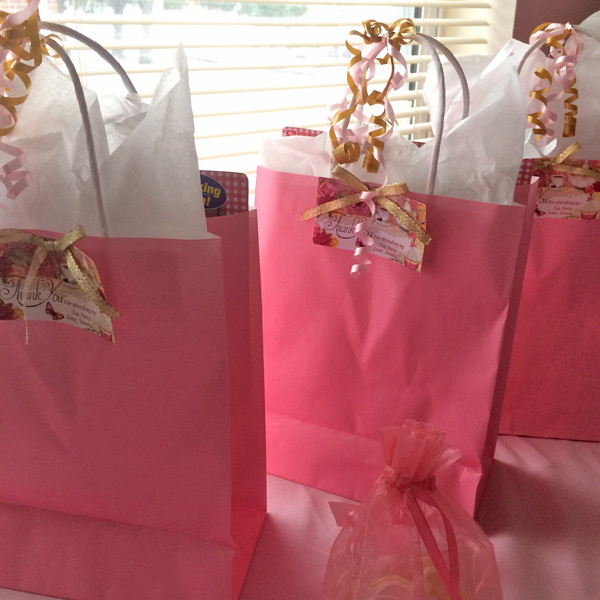 Each little girl got to take home their very own plastic tea set, a handmade bracelet with a teapot charm, a teacup cookie, and a tea packet containing the tea we had at the party. Overall this was so much fun planning and hosting. Sonata was so happy and had such a great time. 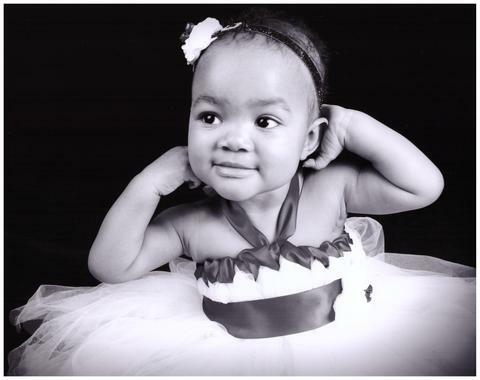 I can’t even count how many hugs I got from her throughout the day. 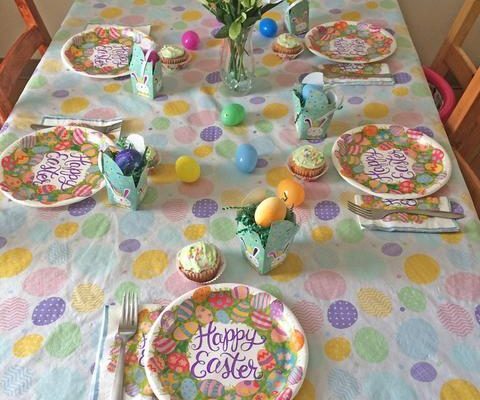 The tableware was purchased from Party City. 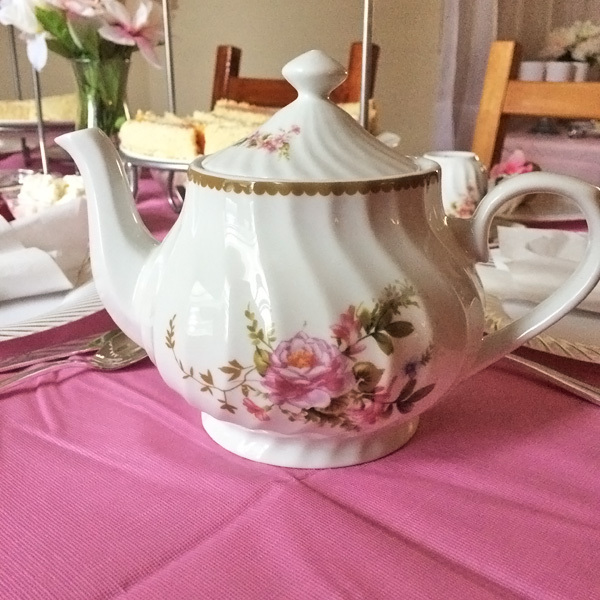 The beautiful teapot and tea cups were purchased from Roses & Teacups. 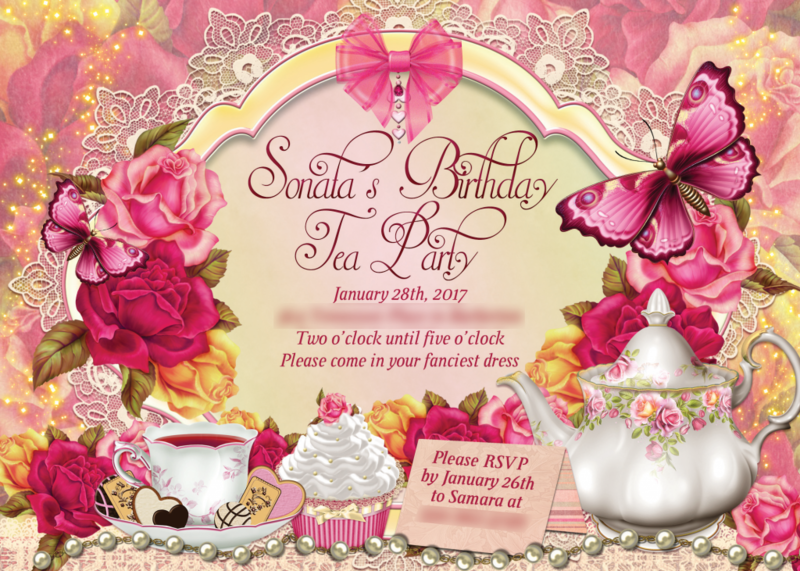 Custom party invitations, and decor by BellaLuElla. 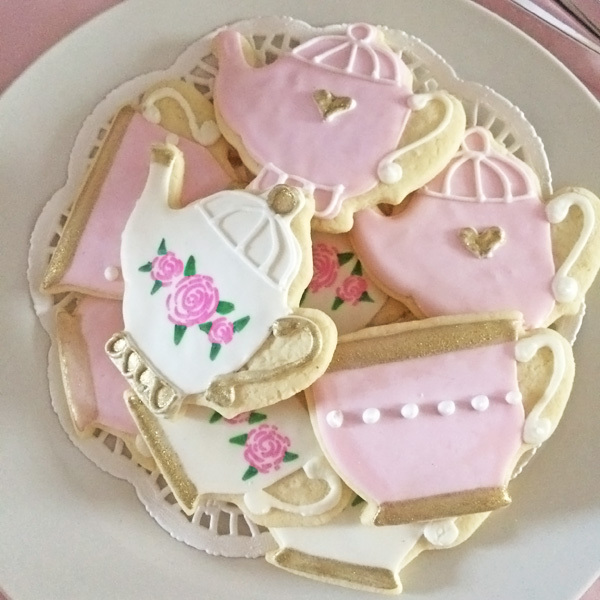 Custom tea party cookies by Dainty Cakes by Andrea. 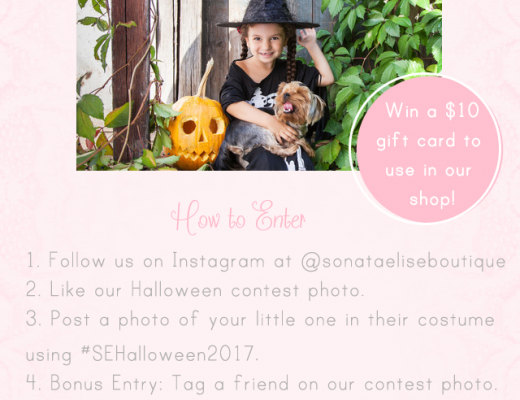 Enter our Halloween Contest and win a $10 gift card!